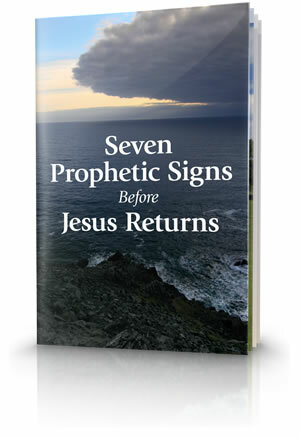 These seven prophecies, some fulfilled and some unfulfilled, must come to pass before Jesus Christ returns to earth. For the first time in history, each one is possible. Will this generation see Jesus' return? Our free study guide will help you understand what the Bible says about the return of Jesus Christ and the things that precede His return. 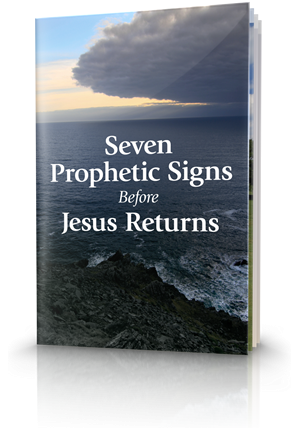 Discover the reassuring truth from the Bible about Jesus' prophesied return. In Matthew 24:22, describing world conditions prior to His second coming, Jesus said that "if that time of troubles were not cut short, no living thing could survive; but for the sake of God's chosen it will be cut short" (Revised English Bible). "And in that day His feet will stand on the Mount of Olives, which faces Jerusalem on the east. And the Mount of Olives shall be split in two, from east to west, making a very large valley; half of the mountain shall move toward the north and half of it toward the south" (Zechariah 14:1-4). In Daniel 11 we find an amazing prophecy about two leaders, the kings of the north and south, the heads of regions that were geographically north and south of the Holy Land. To understand this prophecy we have to go to the time of Alexander the Great, who lived near the end of the fourth century B.C., 200 years after Daniel. In Daniel 2 and 7 we see prophecies about four great gentile empires that would arise in the period between the time of Daniel and the coming establishment of the Kingdom of God (Daniel:2:44). Daniel was himself living in the first of these great empires (Daniel:7:4) as a Jewish exile in ancient Babylon. "Israel" was the new name God gave the biblical patriarch Jacob in Genesis 32. The 12 tribes of Israel were descended from his 12 sons. These tribes later formed a united kingdom. In His major end-time prophecy, Jesus answers the question posed by the disciples: "When will these things be? And what will be the sign of your coming, and of the end of the age?" (Matthew:24:3). Another end-time Bible prophecy could not be fulfilled until this era of instant worldwide communications. What did Jesus mean when He said, "This generation will by no means pass away"? Many are puzzled by Jesus Christ's words, "Assuredly, I say to you, this generation will by no means pass away till all these things take place" (Matthew:24:34). 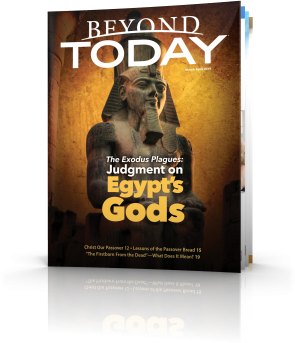 This issue examines how history and prophecy will have a far greater impact on us than we might realise. Do the ancient prophecies really foretell the future, and how can we know? – The answers may surprise you. Bible prophecy reveals one more wordly superpower before the return of Jesus Christ, that will rule with force and ferocity like none before. Its fall will come when Jesus Christ returns to establish the Kingdom of God—the final superpower the world will ever see.